"Aryan" (/ˈɛəriən, ˈɛərjən, ˈær-/) is a term meaning "noble" which was used as a self-designation by Indo-Iranian people. The word was used by the Indic people of the Vedic period in India as an ethnic label for themselves, as well as to refer to the noble class and geographic location known as Āryāvarta where Indo-Aryan culture was based. The closely related Iranian people also used the term as an ethnic label for themselves in the Avesta scriptures, and the word forms the etymological source of the country Iran. It was believed in the 19th century that it was also a self-designation used by all Proto-Indo-Europeans, a theory that has now been abandoned. Scholars point out that, even in ancient times, the idea of being an "Aryan" was religious, cultural and linguistic, not racial. Drawing on misinterpreted references in the Rig Veda by Western scholars in the 19th century, the term "Aryan" was adopted as a racial category through the work of Arthur de Gobineau, whose ideology of race was based on an idea of blonde northern European "Aryans" who had migrated across the world and founded all major civilizations, before being degraded through racial mixture with local populations. Through Houston Stewart Chamberlain, Gobineau's ideas later influenced the Nazi racial ideology, which also saw "Aryan peoples" as innately superior to other putative racial groups. 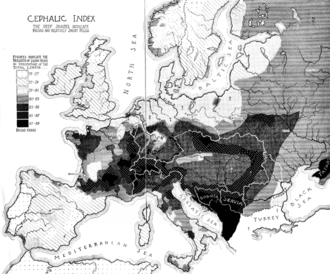 The atrocities committed in the name of this racial aryanism caused the term to be abandoned by most academics; and, in present-day academia, the term "Aryan" has been replaced in most cases by the terms "Indo-Iranian" and "Indo-European", and "Aryan" is now mostly limited to its appearance in the term of the "Indo-Aryan languages". The English word "Aryan" is borrowed from the Sanskrit word ārya, आर्य, meaning "noble" or "noble one". However, as a translation of Latin Arianus (derived from Old Persian ariya), Arian has "long been in English language use". It was reintroduced into English with the new spelling by William Jones in the 18th century. The word *haerós itself is believed to have come from the root *haer meaning `put together'. The original meaning in Proto-Indo-European had a clear emphasis on the "in-group status" as distinguished from that of outsiders, particularly those captured and incoporated into the group as slaves. While in Anatolia, the base word has come to emphasize personal relationship, in Indo-Iranian the word has taken a more ethnic meaning. 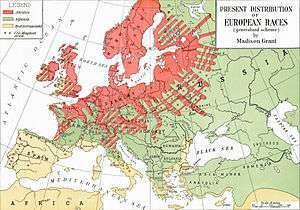 Proto-Indo-Europeans: during the 19th century, it was proposed that "Aryan" was also the self-designation of the Proto-Indo-Europeans, a hypothesis which has been abandoned. The term "Aryan" is used by Indian nationalists and Iranian nationalists to refer themselves as Aryan in contrast to the Indo-Aryan migration theory. In Sanskrit and related Indic languages, ārya means "one who does noble deeds; a noble one". Āryāvarta "abode of the āryas" is a common name for North India in Sanskrit literature. Manusmṛti (2.22) gives the name to "the tract between the Himalaya and the Vindhya ranges, from the Eastern Sea to the Western Sea". 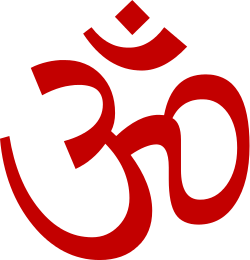 The title ārya was used with various modifications throughout the Indian Subcontinent. Kharavela, the Emperor of Kalinga of around 1 BCE, is referred to as an ārya in the Hathigumpha inscriptions of the Udayagiri and Khandagiri Caves in Bhubaneswar, Odisha. The Gurjara-Pratihara rulers in the tenth century were titled "Maharajadhiraja of Āryāvarta". Various Indian religions, chiefly Hinduism, Jainism and Buddhism, use the term ārya as an epithet of honour; a similar usage is found in the name of Arya Samaj. The Avesta clearly uses airya/airyan as an ethnic name (Vd. 1; Yt. 13.143-44, etc. ), where it appears in expressions such as airyāfi; daiŋˊhāvō "Iranian lands, peoples", airyō.šayanəm "land inhabited by Iranians", and airyanəm vaējō vaŋhuyāfi; dāityayāfi; "Iranian stretch of the good Dāityā", the river Oxus, the modern Āmū Daryā. Old Persian sources also use this term for Iranians. Old Persian which is a testament to the antiquity of the Persian language and which is related to most of the languages/dialects spoken in Iran including modern Persian, the Kurdish languages, and Gilaki makes it clear that Iranians referred to themselves as Arya. The Old Persian and Avestan evidence is confirmed by the Greek sources". Herodotus in his Histories remarks about the Iranian Medes that: "These Medes were called anciently by all people Arians; " (7.62). In Armenian sources, the Parthians, Medes and Persians are collectively referred to as Aryans. Eudemus of Rhodes apud Damascius (Dubitationes et solutiones in Platonis Parmenidem 125 bis) refers to "the Magi and all those of Iranian (áreion) lineage"; Diodorus Siculus (1.94.2) considers Zoroaster (Zathraustēs) as one of the Arianoi. The Bactrian language (a Middle Iranian language) inscription of Kanishka the Great, the founder of the Kushan Empire at Rabatak, which was discovered in 1993 in an unexcavated site in the Afghanistan province of Baghlan, clearly refers to this Eastern Iranian language as Arya In the post-Islamic era one can still see a clear usage of the term Aryan (Iran) in the work of the 10th-century historian Hamzah al-Isfahani. In his famous book "The History of Prophets and Kings", al-Isfahani writes, "Aryan which is also called Pars is in the middle of these countries and these six countries surround it because the South East is in the hands China, the North of the Turks, the middle South is India, the middle North is Rome, and the South West and the North West is the Sudan and Berber lands". All this evidence shows that the name arya "Iranian" was a collective definition, denoting peoples (Geiger, pp. 167 f.; Schmitt, 1978, p. 31) who were aware of belonging to the one ethnic stock, speaking a common language, and having a religious tradition that centered on the cult of Ahura Mazdā. The word Arianus was used to designate Ariana, the area comprising present Herat in the western part of Afghanistan and ancient India. In 1601, Philemon Holland used 'Arianes' in his translation of the Latin Arianus to designate the inhabitants of Ariana. This was the first use of the form Arian verbatim in the English language. In 1844 James Cowles Prichard first designated both the Indians and the Iranians "Arians" under the false assumption that the Iranians as well as the Indians self-designated themselves Aria. The Iranians did use the form Airya as a designation for the "Aryans," but Prichard had mistaken Aria (deriving from OPer. Haravia) as a designation of the "Aryans" and associated the Aria with the place-name Ariana (Av. Airyana), the homeland of the Aryans. The form Aria as a designation of the "Aryans" was, however, only preserved in the language of the Indo-Aryans. The term Arya is used in ancient Persian texts, for example in the behistun inscription from the 5th century BCE, in which the Persian kings Darius the Great and Xerxes are described as "Aryans of Aryan stock" (arya arya chiça). The inscription also refers to the deity Ahura Mazda as "the god of the Aryans", and to the ancient Persian language as "Aryan". In this sense the word seems to have referred to the elite culture of the ancient Iranians, including both linguistic, cultural and religious aspects. The word also has a central place in the Zoroastrian religion in which the "Aryan expanse" (Airyana Vaejah) is described as the mythical homeland of the Iranian people's and as the center of the world. Arya and Anarya are primarily used in the moral sense in the Hindu Epics. People are usually called Arya or Anarya based on their behaviour. Arya is typically one who follows the Dharma. This is historically applicable for any person living anywhere in Bharata Varsha or vast India. In the Ramayana, the term Arya can also apply to Raksasas or to Ravana. In several instances, the Vanaras and Raksasas called themselves Arya. The vanara's king Sugriva is called an Arya (Ram: 505102712) and he also speaks of his brother Vali as an Arya (Ram: 402402434). In another instance in the Ramayana, Ravana regards himself and his ministers as Aryas (Ram: A logical explanation is that, Ravana and his ministers belonged to the highest varna (Ravana being a Brahmin), and Brahmins were generally considered 'noble' of deed and hence called Arya (noble). Thus, while Ravana was considered Arya (and regarded himself as such), he was not really an Arya because he was not noble of deeds. So, he is widely considered by Hindus as Anarya (non-Arya). The Ramayana describes Rama as: arya sarva samascaiva sadaiva priyadarsanah, meaning "Arya, who worked for the equality of all and was dear to everyone." In the Mahabharata, the terms Arya or Anarya are often applied to people according to their behaviour. Dushasana, who tried to disrobe Draupadi in the Kaurava court, is called an "Anarya" (Mbh:0020600253). Vidura, the son of a Dasi born from Vyasa, was the only person in the assembly whose behaviour is called "Arya", because he was the only one who openly protested when Draupadi was being disrobed by Dushasana. The Pandavas called themselves "Arya" in the Mahabharata (0071670471) when they killed Drona through deception. According to the Mahabharata, a person's behaviour (not wealth or learning) determines if he can be called an Arya. Also the whole Kuru clan was called as Anarya . 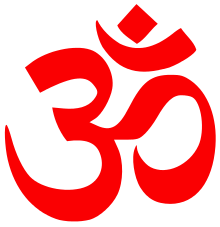 The word ārya is often found in Hindu, Buddhist, and Jain texts. In the Indian spiritual context it can be applied to Rishis or to someone who has mastered the four noble truths and entered upon the spiritual path. According to Nehru, the religions of India may be called collectively ārya dharma, a term that includes the religions that originated in India (e.g. Hinduism, Buddhism, Jainism and possibly Sikhism). The word ārya (Pāli: ariya), in the sense "noble" or "exalted", is very frequently used in Buddhist texts to designate a spiritual warrior or hero, which use this term much more often than Hindu or Jain texts. Buddha's Dharma and Vinaya are the ariyassa dhammavinayo. The Four Noble Truths are called the catvāry āryasatyāni (Sanskrit) or cattāri ariyasaccāni (Pali). The Noble Eightfold Path is called the āryamārga (Sanskrit, also āryāṣṭāṅgikamārga) or ariyamagga (Pāli). Buddhists themselves are called ariyapuggalas (Arya persons). In Buddhist texts, the āryas are those who have the Buddhist śīla (Pāli sīla, meaning "virtue") and follow the Buddhist path. Those who despise Buddhism are often called "anāryas". Following this linguistic argument, in the 1850s Arthur de Gobineau supposed that "Aryan" corresponded to the suggested prehistoric Indo-European culture (1853–1855, Essay on the Inequality of the Human Races). Further, de Gobineau believed that there were three basic races – white, yellow and black – and that everything else was caused by race miscegenation, which de Gobineau argued was the cause of chaos. The "master race", according to de Gobineau, were the Northern European "Aryans", who had remained "racially pure". Southern Europeans (to include Spaniards and Southern Frenchmen), Eastern Europeans, North Africans, Middle Easterners, Iranians, Central Asians, Indians, he all considered racially mixed, degenerated through the miscegenation, and thus less than ideal. The earliest epigraphically attested reference to the word ariya occurs in the 6th century BCE Behistun inscription in Kermanshah, which describes itself to have been composed "in ariya [language or script]" (¶ 70). As is also the case for all other Old Iranian language usage, the ariya of the inscription does not signify anything but "Iranian". Alfred Rosenberg—one of the principal architects of Nazi ideological creed—argued for a new "religion of the blood", based on the supposed innate promptings of the Nordic soul to defend its "noble" character against racial and cultural degeneration. Under Rosenberg, the theories of Arthur de Gobineau, Georges Vacher de Lapouge, Blavatsky, Houston Stewart Chamberlain, Madison Grant, and those of Hitler, all culminated in Nazi Germany's race policies and the "Aryanization" decrees of the 1920s, 1930s, and early 1940s. In its "apalling medical model", the annihilation of the "racially inferior" Untermenschen was sanctified as the excision of a diseased organ in an otherwise healthy body, which led to the Holocaust. Echoes of "the 19th century prejudice about 'northern' Aryans who were confronted on Indian soil with black barbarians [...] can still be heard in some modern studies." In a socio-political context, the claim of a white, European Aryan race that includes only people of the Western and not the Eastern branch of the Indo-European peoples is entertained by certain circles, usually representing white nationalists who call for the halting of non-white immigration into Europe and limiting illegal immigration into the United States. They argue that a large intrusion of immigrants can lead to ethnic conflicts such as the 2005 Cronulla riots in Australia and the 2005 civil unrest in France. ↑ Fortson, IV: "The Sanskrit word ārya-, the source of the English word, was the self-designation of the Vedic Indic people and has a cognate in Iranian *arya, where it is also a self-desigmation. ↑ J. P. Mallory and Douglas Q. Adams: "Our ability to reconstruct a Proto Indo-Iranian intermediate between Proto-Indo-European on the one hand and Proto-Indic and Proto-Iranian is also supported by the self-designation, *aryo-." ↑ Both the Indic and Iranian terms descend from a form *ārya that was used by the Indo-Iranian tribes to refer to themselves. (It is also the source of the country-name Iran, from a phrase meaning 'kingdom of the Aryans'.)" ↑ The American Heritage Dictionary of the English Language states at the beginning of its definition, "[it] is one of the ironies of history that Aryan, a word nowadays referring to the blond-haired, blue-eyed physical ideal of Nazi Germany, originally referred to a people who looked vastly different. Its history starts with the ancient Indo-Iranians, peoples who inhabited parts of what are now Iran, Afghanistan, Pakistan and India. " ↑ There is no shortage of ideas, even in the present-day. For a summary of the etymological problems involved, see Siegert 1941–1942. ↑ The context being religious, Max Müller understood this to especially mean "the worshipers of the gods of the Brahmans". If this is seen from the point of view of the religious poets of the RigVedic hymns, an 'Aryan' was then a person who held the same religious convictions as the poet himself. This idea can then also be found in Iranian texts. ↑ Jacques Duchesne-Guillemin: "It thus seems that Ved. arya and Avest. airya are to be connected [...] with a Vedic homophone ari-, aryá- 'righteous, loyal, devout', and with Indo-Iranian *ara- 'fitting, proper'" <ref name='FOOTNOTEDuchesne-Guillemin1979337'>Duchesne-Guillemin 1979, p. 337. ↑ "Aryan". Random House Webster's Unabridged Dictionary. 1 2 Gopal, Madan (1990). K.S. Gautam, ed. India through the ages. Publication Division, Ministry of Information and Broadcasting, Government of India. p. 70. 1 2 Mallory 1991, p. 125. 1 2 3 4 5 Oxford English Dictionary: "Aryan from Sanskrit Arya 'Noble'"
↑ Encyclopædia Britannica: " ...the Sanskrit term arya ("noble" or "distinguished"), the linguistic root of the word (Aryan)..." "It is now used in linguistics only in the sense of the term Indo-Aryan languages, a branch of the larger Indo-European language family"
1 2 3 4 5 6 7 8 9 10 Fortson, IV 2011, p. 209. ↑ Anthony 2007, p. 11. ↑ Reza Zia-Ebrahimi, Iranian Identity, the 'Aryan Race,' and Jake Gyllenhaal, PBS (Public Broadcasting Service), 6 August 2010. ↑ Anthony 2007, pp. 9-11. 1 2 Encyclopædia Britannica: "It is now used in linguistics only in the sense of the term Indo-Aryan languages, a branch of the larger Indo-European language family"
1 2 cf. Gershevitch, Ilya (1968). "Old Iranian Literature". Handbuch der Orientalistik, Literatur I. Leiden: Brill. pp. 1–31. , p. 2. 1 2 3 4 Mallory & Adams 1997, p. 304. ↑ Witzel 2000, p. 1. 1 2 3 4 5 6 Bailey, Harold Walter (1989), "Arya", Encyclopædia Iranica, 2, New York: Routledge & Kegan Paul . ↑ Duchesne-Guillemin 1979, p. 337. ↑ Arbeitman 1981, p. 930. ↑ Mallory & Adams 1997, p. 213. ↑ Edelman 1999, p. 221. ↑ An Introduction to the Indo-European Languages by Philip Baldi, page 51: "The term Aryan used alone is often used to designate the Indic branch..."
↑ Edwin Francis Bryant; Laurie L. Patton. The Indo-Aryan Controversy: Evidence and Inference in Indian History. psychology press. p. 408. ↑ Ansari, Ali M. Perceptions of Iran: History, Myths and Nationalism from Medieval Persia to the Islamic Republic. I.B.Tauris. p. 130. 1 2 Watkins, Calvert (2000), "Aryan", American Heritage Dictionary of the English Language (4th ed. ), New York: Houghton Mifflin, ISBN 0-395-82517-2, ...when Friedrich Schlegel, a German scholar who was an important early Indo-Europeanist, came up with a theory that linked the Indo-Iranian words with the German word Ehre, 'honor', and older Germanic names containing the element ario-, such as the Swiss [sic] warrior Ariovistus who was written about by Julius Caesar. Schlegel theorized that far from being just a designation of the Indo-Iranians, the word *arya- had in fact been what the Indo-Europeans called themselves, meaning [according to Schlegel] something like 'the honorable people.' (This theory has since been called into question.) . ↑ Wink, André (2002). Al-Hind: Early medieval India and the expansion of Islam, 7th–11th centuries. BRILL. p. 284. ISBN 0391041738, ISBN 978-0-391-04173-8. ↑ G. Gnoli,"Iranic Identity as a Historical Problem: the Beginnings of a National Awareness under the Achaemenians", in The East and the Meaning of History. International Conference (23–27 November 1992), Roma, 1994, pp. 147–67. ↑ H.W. Bailey, "Arya" in Encyclopædia Iranica. Excerpt: "ARYA an ethnic epithet in the Achaemenid inscriptions and in the Zoroastrian Avestan tradition. Also accessed online in May, 2010. 1 2 The "Aryan" Language, Gherardo Gnoli, Instituto Italiano per l'Africa e l'Oriente, Roma, 2002. 1 2 3 R.G. Kent. Old Persian. Grammar, texts, lexicon. 2nd ed., New Haven, Conn.
↑ Professor Gilbert Lazard: "The language known as New Persian, which usually is called at this period (early Islamic times) by the name of Dari or Parsi-Dari, can be classified linguistically as a continuation of Middle Persian, the official religious and literary language of Sassanian Iran, itself a continuation of Old Persian, the language of the Achaemenids. Unlike the other languages and dialects, ancient and modern, of the Iranian group such as Avestan, Parthian, Soghdian, Kurdish, Balochi, Pashto, etc., Old Middle and New Persian represent one and the same language at three states of its history. It had its origin in Fars (the true Persian country from the historical point of view) and is differentiated by dialectical features, still easily recognizable from the dialect prevailing in north-western and eastern Iran" in Lazard, Gilbert 1975, "The Rise of the New Persian Language" in Frye, R. N., The Cambridge History of Iran, Vol. 4, pp. 595–632, Cambridge: Cambridge University Press. 1 2 Simpson, John Andrew; Weiner, Edmund S. C., eds. (1989), "Aryan, Arian", Oxford English Dictionary, I (2nd ed. ), Oxford University Press, p. 672, ISBN 0-19-861213-3 . 1 2 Briant 2002, p. 180. ↑ Siegert, Hans (1941–1942), "Zur Geschichte der Begriffe 'Arier' und 'Arisch'", Wörter und Sachen, New Series, 4: 84–99 . ↑ Kuz'mina 2007, pp. 371-372. ↑ Weinberger, Eliot (2000). Karmic Traces, 1993-1999. New Directions Publishing. p. 179. ↑ Kumar, Priya (2012). Elisabeth Weber, ed. Beyond tolerance and hospitality: Muslims as strangers and minor subjects in Hindu nationalist and Indian nationalist discourse. Living Together: Jacques Derrida's Communities of Violence and Peace. Fordham University Press. p. 96. ISBN 9780823249923. ↑ Zwischen Barbarenklischee und Germanenmythos: eine Analyse österreichischer ... by Elisabeth Monyk (2006), p. 31. ↑ "Müller, Karl Otfried: Handbuch der Archäologie der Kunst. Breslau, 1830.". ↑ Huxley, Thomas (1890), "The Aryan Question and Pre-Historic Man", The Nineteenth Century (XI/1890) . 1 2 Thapar, Romila (January 1, 1996), "The Theory of Aryan Race and India: History and Politics", Social Scientist, Social Scientist, 24 (1/3): 3–29, doi:10.2307/3520116, ISSN 0970-0293, JSTOR 3520116 . 1 2 Leopold, Joan (1974), "British Applications of the Aryan Theory of Race to India, 1850–1870", The English Historical Review, 89 (352): 578–603, doi:10.1093/ehr/LXXXIX.CCCLII.578 . ↑ Blavatsky, Helena Petrovna (1947) , The Secret Doctrine, the Synthesis of Science, Religion and Philosophy, II: Anthropogenesis (Fascimile of original ed. ), Los Angeles: The Theosophy Company, p. 200, OCLC 8129381, retrieved 2011-06-14 . ↑ Glover, Jonathan (1998), "Eugenics: Some Lessons from the Nazi Experience", in Harris, John; Holm, Soren, The Future of Human Reproduction: Ethics, Choice, and Regulation, Oxford: Clarendon Press, pp. 57–65 . ↑ Renfrew, Colin. (1989). The Origins of Indo-European Languages. /Scientific American/, 261(4), 82–90. 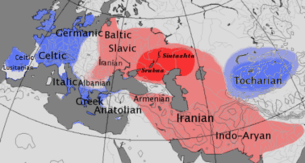 In explaining the Anatolian hypothesis, the term "Aryan" is used to denote "all Indo-Europeans"